New Disney Zootopia Clips, DIY Crafts, and More! Disney's Zootopia is finally here! We watched this with our whole family last night, and -- wow! I don't think I've laughed that hard in awhile. When a bunny achieves the impossible dream of becoming a police officer (the "first" bunny cop ever) in the nearby city of Zootopia, she goes with the hope that all animals can live in peace. But when the predators start going mad with violence, is there really something to the teaching that you can't change your DNA? This wildly funny romp features a favorite scene were the local DMV is staffed by -- you guessed it -- sloths! If you can breathe by the end of the scene (because, seriously, it's THAT funny) you've earned your gold star for the day! Already a fan of Zootopia? Check out these activities to do with your kids! 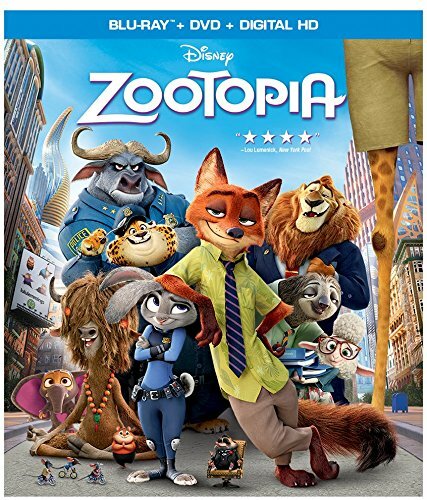 Catch Zootopia on Blu-ray, Digital HD, and Disney Movies Anywhere at all locations Disney movies are sold! *Review copy received. Opinions are my own.